Thanks to Rocky, I found something interesting to share with you this weekend. As one of our faster day traders, Rocky was enjoying some fast Pops higher in the individual stocks of the general market and said, " Hey CF, are you sure about this market dropping? It just won't stop." Well, My immediate answer was that we were due for a dip and that it isn't really rocketing higher like some stocks, it has been sideways for a few days. That said, I decided to dig deeper, look closer, and I may have stumbled onto something - Thanks Rocky! At 2 p.m. we had our F.O.M.C. Minutes released, and some things changed right away, so we'll discuss that. Is it likely to be a short term knee jerk reaction that only lasted for the rest of Wednesday? 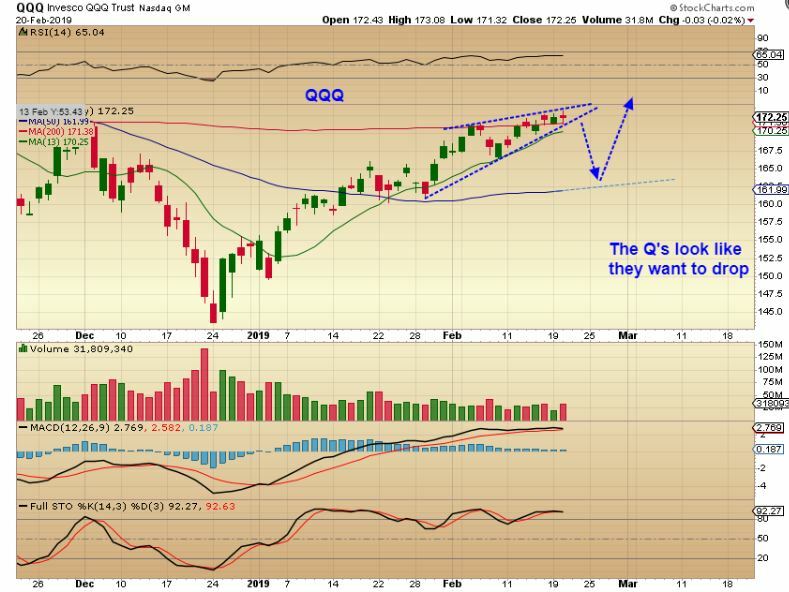 Or does it look to be more of a medium term change, with days of similar action to follow. I almost think that the readers here already know the answer to that, but we will discuss it further. 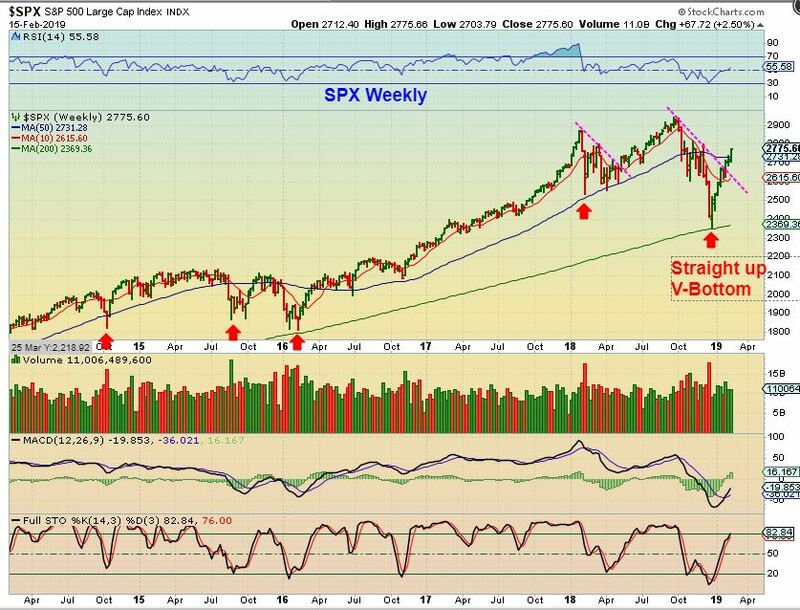 SPX WEEKLY - The market continues to rise out of its V-Bottom. It has now broken out over the 200sma on a daily, and that means that it is above the 50 week ma. I am using red arrows to show other slam down ICLs and their recoveries. Good News, Bad News. The Good News is that in the U.S. we have a 3 day weekend to rest up and enjoy time with family and friends. The Bad News is that in the U.S., we have a 3 day weekend. I don't know about you, but at times I hate it when there is no trading Monday. Earlier in the week I was lamenting that some of the trades were choppy and not really going anywhere, but toward the end of the week the gains started adding up and now I'd like to see this continue Friday and into Monday, but I guess many of us will need to wait until Tuesday. So let's take a look at a few things on Friday, our last trading day until the 3 day weekend. 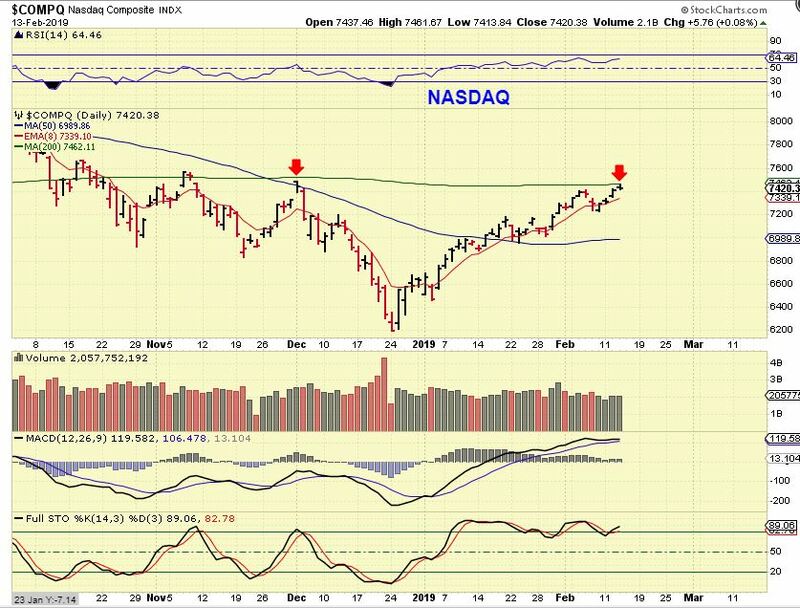 NASDAQ - The NASDAQ has now reached the 200 sma. We are getting late in the daily cycle.